Angotti & Straface Attorneys at Law L.C. in Morgantown provides the experienced, aggressive legal representation and resources required to successfully hold negligent medical providers accountable for their errors. If you have suffered a serious injury at the hands of a doctor, nurse, or other healthcare provider who failed to adhere to the accepted standard of care, contact our law firm immediately. We have successfully assisted thousands of individuals with recovering the maximum financial compensation allowed by law for medical malpractice injuries since 1952. 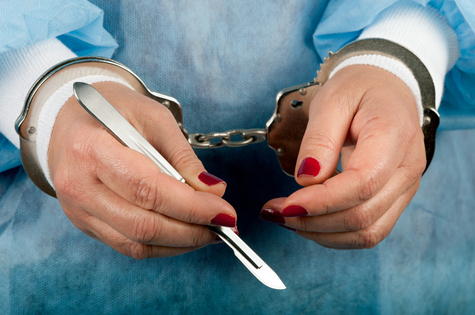 Proving medical malpractice in West Virginia requires that three main criteria be met. Healthcare providers must have neglected to exercise the same degree of care and skill required and/or expected by similar healthcare providers facing the same situation. Additionally, this neglect must be shown to have been a proximate cause of the injury or wrongful death of the victim. Finally, if the medical professional’s neglect to follow the accepted standard of care limited the patient’s chances for recovery or resulted in an increased risk of harm by at least 25%, you may have a right to recover financial compensation from the negligent party for medical bills, hospitalization, lost wages, pain and suffering, and other losses. The statute for filing a medical malpractice claim in West Virginia is two years. Do not wait. Contact Angotti & Straface right away for a free initial legal consultation to discuss your case: (304) 292-4381. The medical malpractice legal team at Angotti & Straface has over 66 years of combined experience obtaining significant financial compensation for our clients throughout the entire state of West Virginia, including Charleston, Huntington, Parkersburg, Morgantown, and Wheeling. If you retain us, you will deal directly with your attorney from the time your claim is filed until the closure of your case. Our team is completely dedicated to fiercely pursuing justice for those who were injured by the healthcare professionals in whom they placed their trust. We take our duty to keep our healthcare system in check very seriously. If you are too injured to come to us, we will travel directly to your location. No attorney fees are due unless we collect money on your behalf.